MV: Hey Aselamulaikum! You remember that post about the Day of ‘Arafah? Well I’ve got good news for you folks…theres another great day to fast! The day of Ashura is a day or 3 (9,10 and 11 Muharram) in which fasting is optional but if we do then our sins are forgiven from all of last year! So don’t miss out on this occasion which is tomorrow inshAllah(or it could have been either yesterday or the day after, remember its not confirmed). So why miss out on this day especially if you live in the US and its winter time and Maghrib is around 5:30 these days! And thats not all! Allah (SWT) comes down every night for the last third of the night! Now if you make a wish (dua) then there is a 100% chance of it coming true (inshAllah)! So be sure to fast this coming Ahura inshAllah! 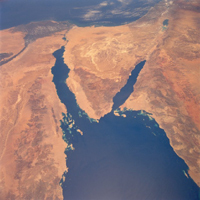 A satellite view of Sinai and the Red Sea. Ashura commemorates the day that Allah saved the Children of Israel from Pharaoh. Change what you wrote about “On the third day if you stay up..Allah (SWT) is the closest to earth on that night”. Oh lol opps…Ustakfuruallah! I changed it, thanks. I have tried to leave a comment on this blog and each time I submit the form refreshes the comment or gives an error. Do you think someone possibly check into the reason there is a problem? Great!! I love your blog, it´s AWESOME!! !i´ll come back again!! How much visitors per day do you have right now? I will be one of your often reader. WOW, nice site, I´m come back soon!. Really like your content. 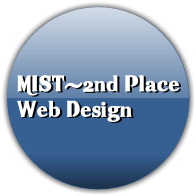 I am a designer and i have seen many sites. Congratulations, I´ll inform to my twitter friends and followers. Hi I found your site in yahoo, I love the content and design, very good choice of colors, I am a designer and i have seen many sites. Congratulations, I´ll inform to my twitter friends and followers. the tabs and related info ended up being truly simple to do to access. or something, website theme . A tones way for your customer to communicate.